Jacaranda’s new online assessment tool assessON is now live! 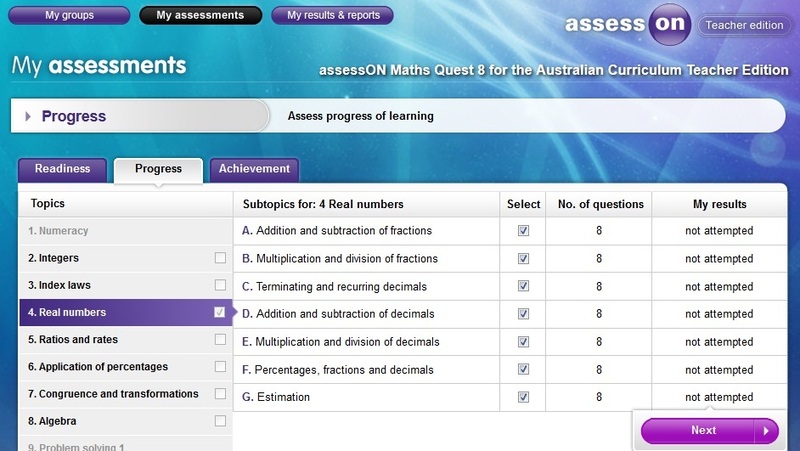 assessON is an innovative online tool that provides additional assessment resources for the Australian Curriculum maths or science courses. It enables online assessments and automatic feedback. From a teacher’s perspective, this will transform your workflow. Think of the time you will save with preparing and marking assessment. Think of the instant information you will receive to help you diagnose the learning needs of your students and monitor their overall progress.